Home of England rugby clocks up another summit on launch of East Stand. 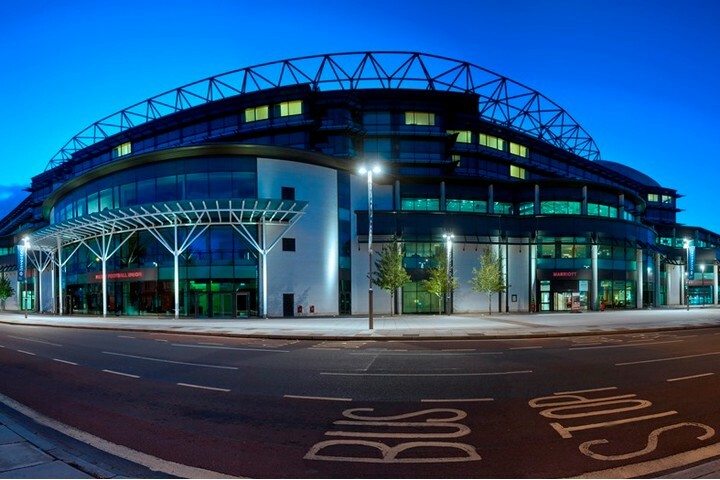 The global conference and publishing organisation in sport, Leaders, has announced that it is moving from Chelsea FC's Stamford Bridge and relocating to Twickenham Stadium. The news was made at the 2018 Leaders' Sports Business summit on 11 October. The reason for the move was to accommodate a greater number of attendees and partners. "Over the last 11 years and we've seen the Leaders Business Summit grow from 600 attendees to now over 2,000." James Worrall, Leaders founder and CEO said. "The move to Twickenham is a must as we look to expand our footprint further and keep up with demand. The relocation will give us the opportunity to take the Summit to the next level and allow us to continue to attract the biggest and best names in the sport's business, providing the essential platform to inform, inspire and bring together the wider industry." Nils Braude, catering and conference & events director for Twickenham's stadiumwas delighted with the news, saying that it was an "outstanding event which brings together some of the biggest personalities and brands in global sport." The summit attracts over 2,000 sport business executives from over 50 countries around the world. This year's key speakers included Claire Cronin, chief marketing officer of Virgin Atlantic and Alex Green, Amazon Prime video's European MD. "When the event arrives, we will have launched our new East Stand facility, which will already be changing the face of sports hospitality, Leaders will be a great event to showcase a new look to the stadium," Braude added. Twickenham's £81 million revamp of the home of English rugby has created four new restaurants. The build, which took 18 months, has added 6,700 sq m of space to the East Stand. The 18-month construction project has seen 6,700 sq m of space added to the East Stand to create new room for 4,500 hospitality ticket holders. The new facilities will open its doors to guests on 3 November to coincide with England playing South Africa for the Quilter Internationals series at Twickenham Stadium.